On Thursday 14- Nov. Bogota Police Chief John Burke, along with other members of the Bergen County Police Chiefs Foundation, made a donation of supplies to the Alfred J. Thomas Veterans Home in Garfield , NJ. Named after Bogota VFW post 5561 member Alfred Thomas it is an eight bedroom resident that assists homeless veterans who need a safe place to stay and are need of professional aid to help them during hard times. The Chief Foundation provided items such as clothing, towels, blankets, jacket, and items for personal use to the home. 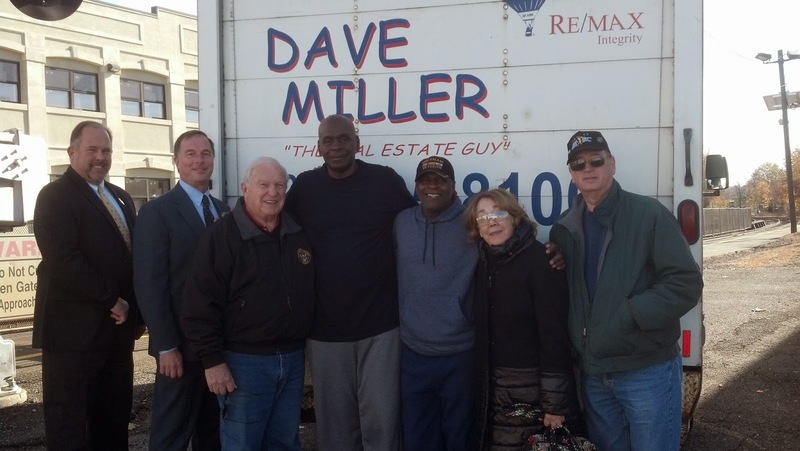 A donation of food and a check for $500 was also given to aid the Veterans in the residents. Chief John Burke (Bogota), Chief Kevin Amos (Garfield) Retired Chief Michael Affrunti (Dumont), two of the veterans, Trudi Dial (BCPCA Foundation Executive Director, and Retired Chief Robert DeWald (Palisades Interstate Parkway Police). Very cool....thanks for looking after our military sisters and brothers.